It's gettting pretty cold here in Italy. They said that we can expect very cold and threatening winter. Let's hope they are wrong. But let's look on the bright side of this season. The days are getting longer, you've probably noticed it already. A few days ago I've just received this OASAP sweater and I love it, my red sweater.. And Christmas is near.. I've also received this OASAP stackable ring set, get it HERE. 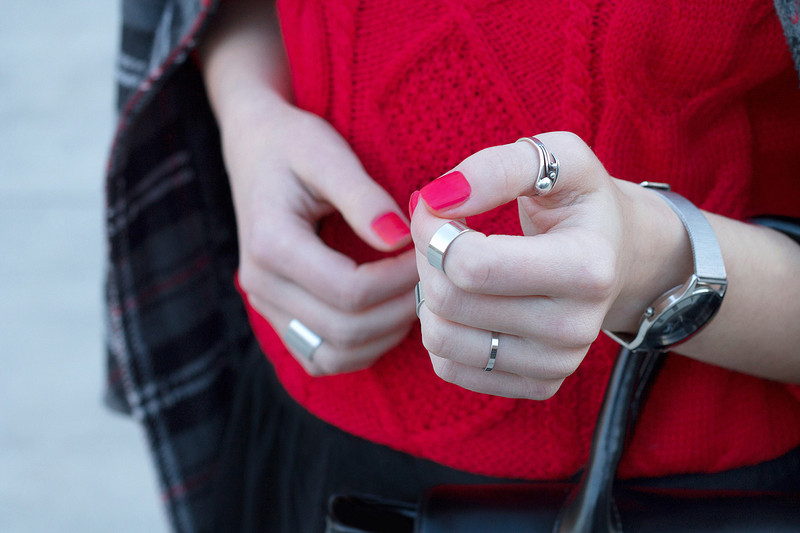 Red is one of my favourite winter colors. It's strong and warm. 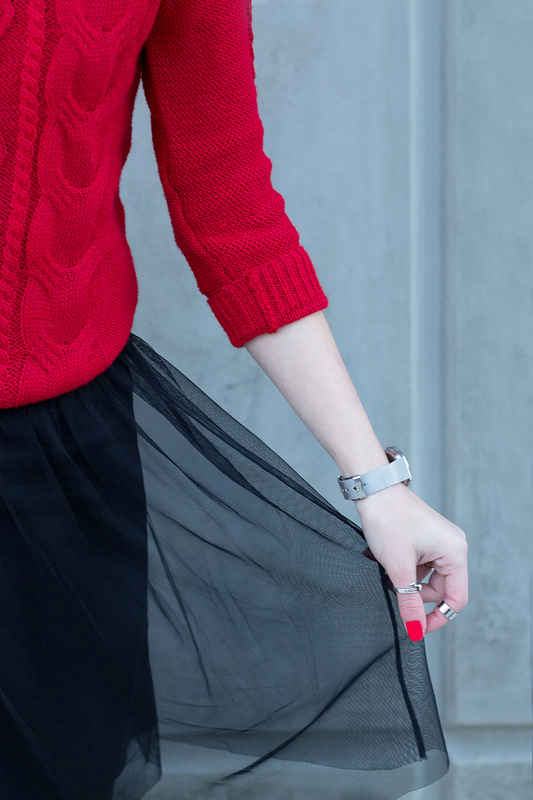 I combined my red OASAP sweater, get it HERE with absolutely stunning Motivi black skirt and H&M gray booties. I love my new fashionable FREYRS sunglasses, get them HERE. Leave me your precious comments. The red knit looks great with the coat! I love the skirt! Great look! Maglione rosso è molto buono. Lei e il cappotto con un perfetto. Mi piacciono gli occhiali.